Today feels more like a Tuesday. Mainly because yesterday was THE MOST Monday-est Sunday ever. My husband was called into work all day and the kids were… well they were kids. Three destructive whirlwinds of energy! 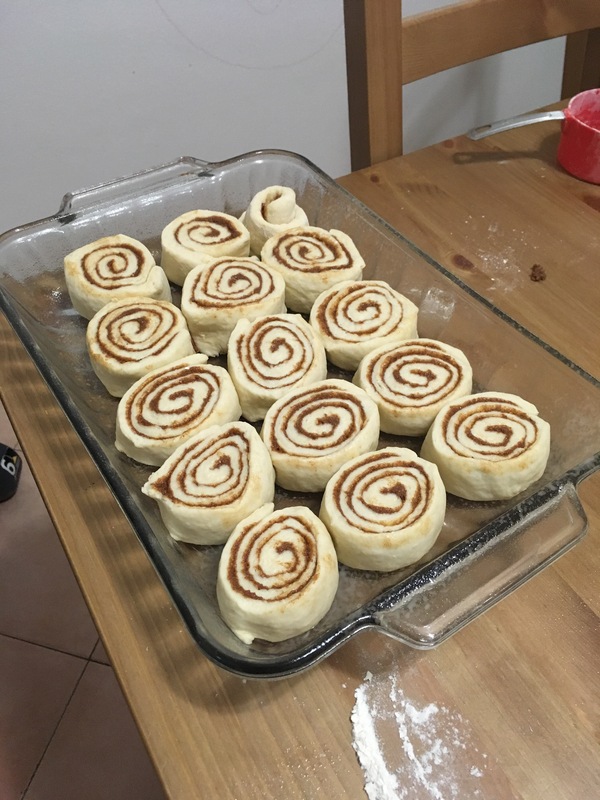 Later that evening after the monkeys were in bed, I started up some cinnamon rolls for the hubs to take into work today. 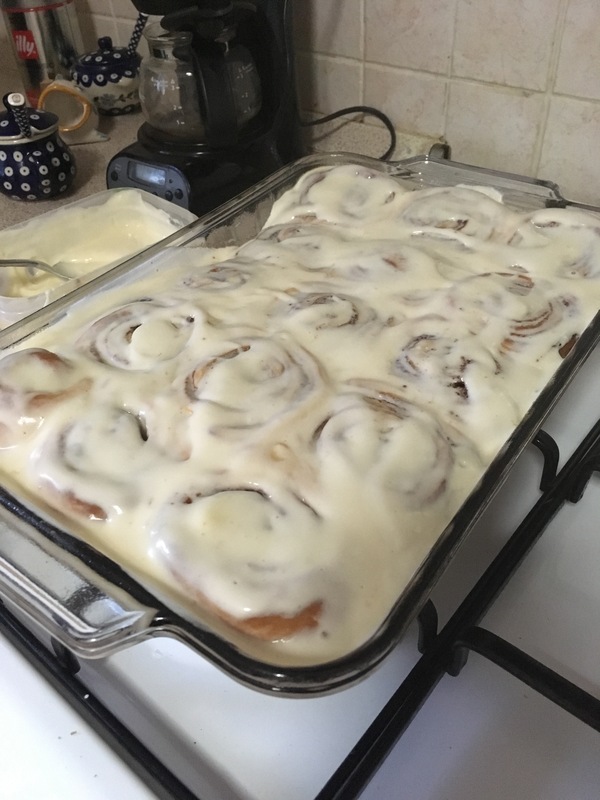 I don’t think I can ever go back to can cinnamon rolls! Making them at home is just so easy, and the dough is super poofy and squishy and just fun to work with. These definitely came out better than my first batch. I added more cinnamon and it probably helps that I completely forgot about the dough when it was rising, so it was extra proofed up! So! Here we are, Monday morning, kids hyper and full of sugar. Outside playing in the dirt before 8am. 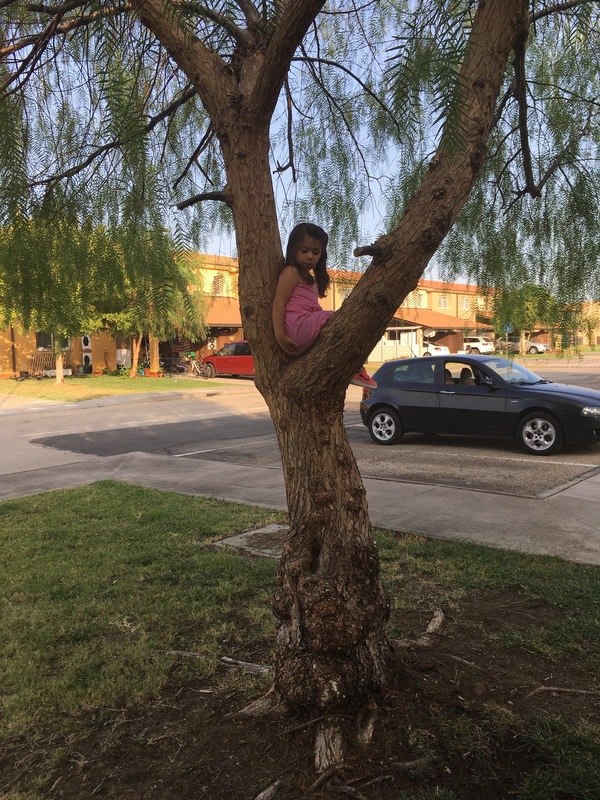 My eldest (4y) Anastasia, has learned to climb our tree! 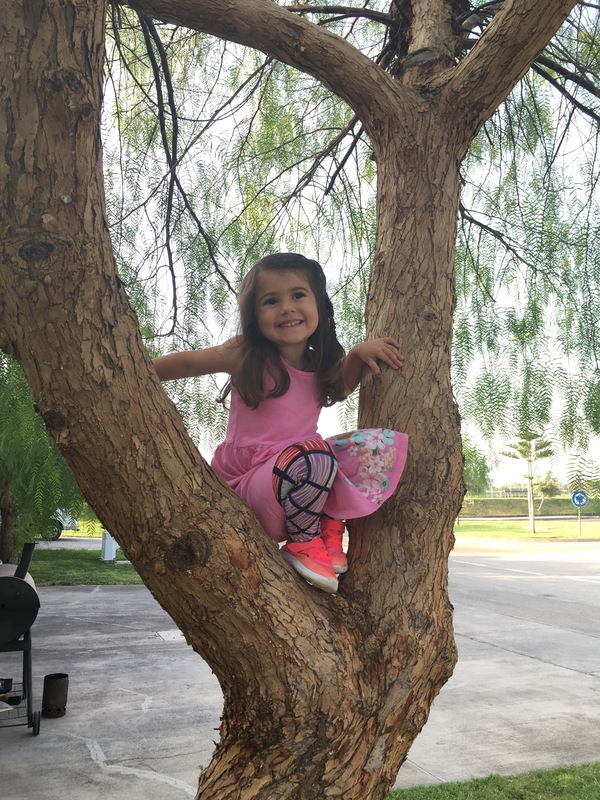 I need to get this monkey certified on the rock wall here so she has an outlet for her insatiable need to climb on everything. Here is Felix (1yr). He is my dirt eater. 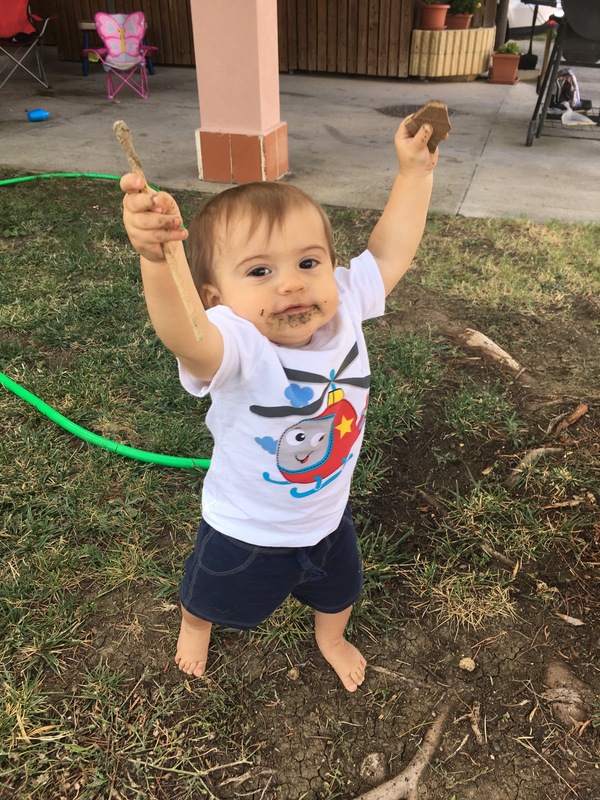 This kid puts everything in his mouth! I’ve given up on the dirt when we are outside. 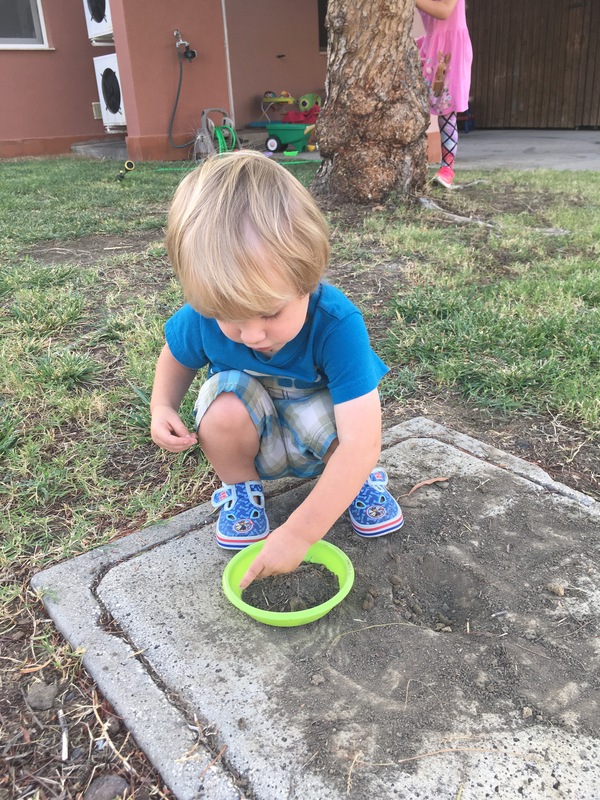 It’s impossible to stop him unless I follow him around and constantly smack the dirt out of his hands. And here is my monkey in the middle, Timmy (2yr). He is making dirt pancakes. 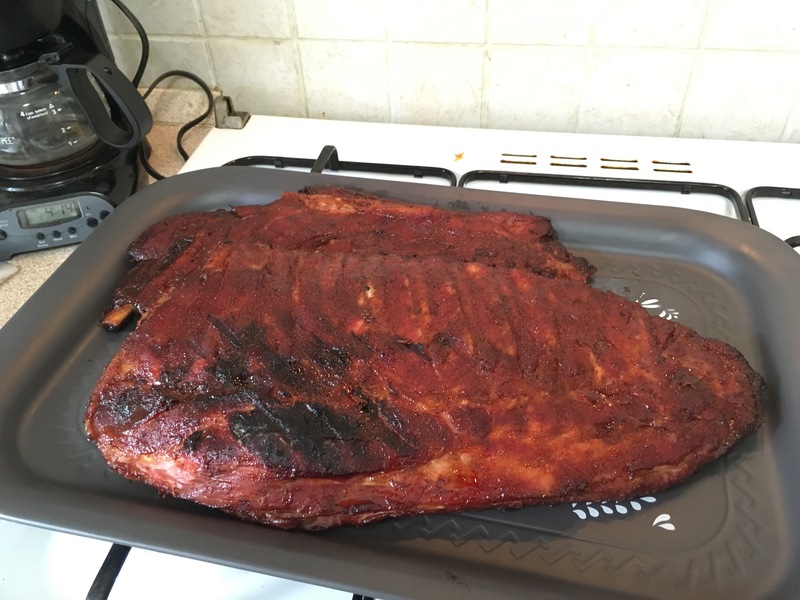 It’s 8:30am…. I have a feeling it’s going to be another long day. Good thing I love them and have coffee!